Although I’ve fallen off the healthy path several times this year (and it’s only May), I always manage to haul myself up and do a little something to get back on track. 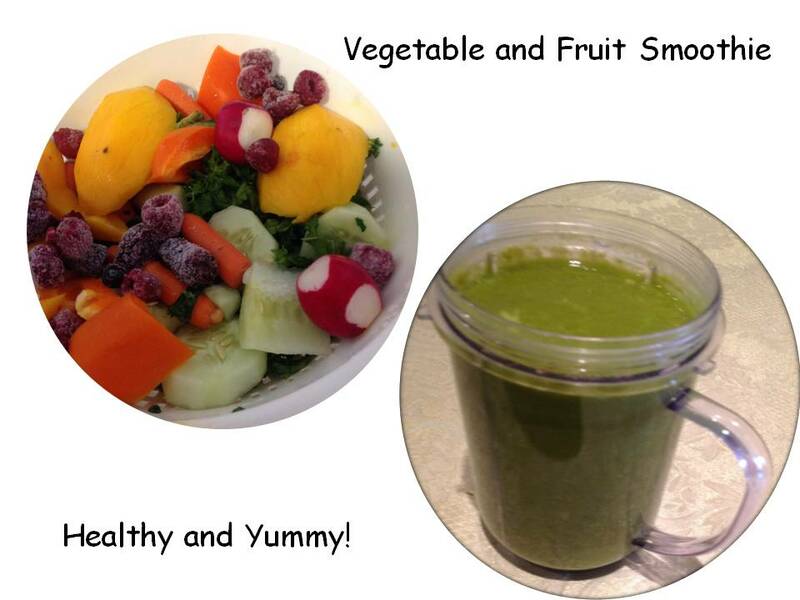 Today, I made a delicious veggie and fruit smoothie in my vitamix blender. Put everything in the blender to the smoothie setting and in less than a minute be ready to enjoy a delicious, healthy smoothie. This recipe yields three of the receptacles shown in the photo. It’s even tastier when it’s chilled. If you try this recipe, do let me know. The word diet. What images come to mind when you hear this word? It seems that we hear this word a lot at the end of the year and then at the beginning of the new year. How many times have you heard (or said yourself), “Oh it’s December, it’s the holidays. I will go on a diet in January”. In January we often hear, “My New Year’s resolution is to lose weight”. Familiar? At some point in our lives many of us (present company included), moan and groan about the pounds that silently crept on and took up residence on our bodies. Did it happen silently though? I don’t think so. Here is an announcement…I am not going on a diet. I plan to change my eating behavior. Small changes.On Tuesday, January 14th, my husband and I attended a nutrition lecture at Baptist Hospital New Year, New You. Lucette Talamas, the dietitian presented an excellent hour of eye-opening information that can put anyone on the path of healthful eating. Two eating behavior changes for me for the next two months: (1) Eat fruits at least four days per week. (2) Include fish in our meals at least one day per week. At the end of the two month period, I will reassess and make other small changes. Baptist Community Health Programs provide free lectures and exercise classes to promote a “Healthier You”. The friendly and professional staff work diligently to ensure that all participants feel welcome and comfortable at all events. Below are photographs of the ladies who helped to make Tuesday’s nutrition lecture possible. 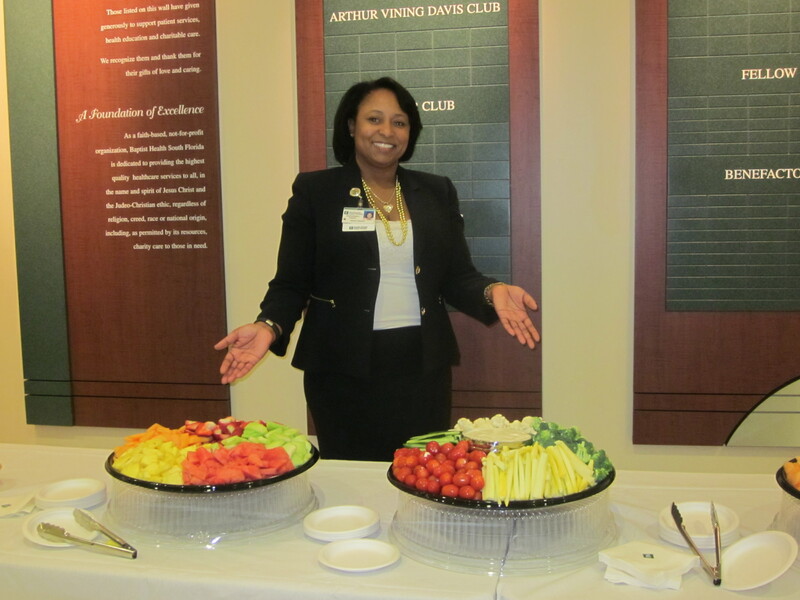 This is Karen Vassel showcasing the healthy snacks Baptist Health Community Programs provided for guests at the event. 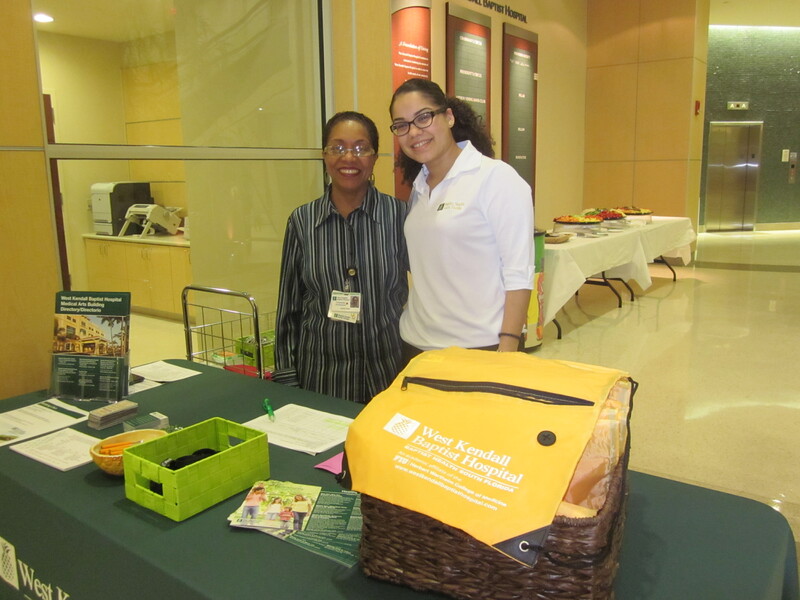 Ana Diaz and Marie Noguera at the sign in table. Be a part of my writing journey!